BOSTON, MA--(Marketwired - Oct 7, 2015) - Choate, Hall & Stewart LLP today announced that Christian Atwood, a partner in the firm's Private Equity Group, has been named a "Boston Rising Star" by the National Law Journal. The Boston Rising Stars list includes 40 lawyers under age 40 who "stand out as new leaders in the legal profession" for wielding influence in their practice areas, demonstrating strong leadership qualities, developing unique practice niches, showing expertise in litigation or transactional work, and committing themselves to pro bono work. Atwood, who is one of the country's top middle market private equity attorneys, will be recognized at an event in Boston on November 12, 2015. Since January 2013, Atwood has led 37 deals worth over $3 billion, including 11 deals valued at over $1.3 billion over the past year. Atwood has a reputation for handling complex, multi-layered, time sensitive deals for a who's who list of private equity fund clients including Avista Capital, Bain Capital Ventures, The Blackstone Group, Intervale Capital, New Heritage Capital, M/C Partners, Spectrum Equity, Symmetric Capital, and Windjammer Capital Investors. Two recent deals include: representing long-time client Windjammer Capital in its biggest exit ever in April 2015, and representing M/C Partners in a $190 million carve-out acquisition (in partnership with Charlesbank Capital) of public company Acxiom's IT business, which was announced in May 2015. "Christian has impeccable judgment and keen problem solving abilities, which is why so many clients trust him with their most important deals. He is a rising star in every way and no one is more deserving of this recognition than he is," said Charles Cheever, co-managing partner at Choate, Hall & Stewart LLP. At Choate, Atwood represents private equity funds, their portfolio companies -- and, with some frequency, those who find themselves across the table from a private equity fund or a PE-backed company -- in negotiating and structuring complex M&A transactions, leveraged buyouts, growth capital investments, and recapitalizations. His work with private equity funds, a core competency of the firm, involves advising with respect to all phases of the funds' investment process and their portfolio companies' life-cycle -- from initial investment to exit, including with respect to add-on acquisitions, carve-outs and other divestitures. He has been a member of Choate's Hiring Committee since 2004. In 2014, Atwood was one of only seven attorneys nationwide to be named a Private Equity "Rising Star" by Law360. 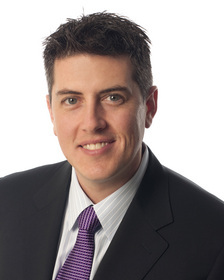 In 2013, he was one of The M&A Advisor's 40 Under 40 "Legal Advisor" Award Winners. Atwood has also repeatedly been named to the Massachusetts Super Lawyers' "Rising Stars" list, and been recognized regularly in The Legal 500 and Chambers USA. He received his J.D. from the University of Virginia School of Law in 2001 and his A.B. from Dartmouth College in 1998. Choate, Hall & Stewart LLP, one of the nation's leading law firms, is consistently recognized for excellence by Best Lawyers in America, Chambers USA, The Legal 500, World's Leading Lawyers, International Who's Who of Lawyers, and Expert Guides. With all of its lawyers under one roof, Choate focuses on a core group of areas where it represents clients across the United States and internationally and provides exceptional efficiency, service and value. Choate's areas of focus include private equity, corporate/M&A, finance & restructuring, high-stakes litigation, life sciences, technology companies and intellectual property, insurance/reinsurance, government enforcement and compliance, and wealth management. Christian Atwood, a partner in Choate, Hall & Stewart's Private Equity Group, has been named a "Boston Rising Star" by the National Law Journal. The Boston Rising Stars list includes 40 lawyers under age 40 who "stand out as new leaders in the legal profession" for wielding influence in their practice areas, demonstrating strong leadership qualities, and developing unique practice niches.